More protection for less money. Get Agreed Value classic car insurance on both new Classic Car models and Classic Car classics without giving up personal service or a solid A+ rating. JPS Design Group is specified as the websites creator. The web server used by Classiccarinsurance.biz is located near the city of Walla Walla, USA and is run by Vivio Technologies. 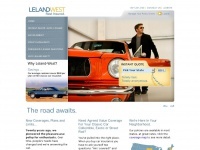 The website Classiccarinsurance.biz has a own web server. The web server only runs this website. The websites of Classiccarinsurance.biz are hosted by a Microsoft-IIS server and were developed in the programming language ASP.NET. The markup language of the website is HTML 4.01 Transitional. The visitor analysis software Google Analytics is used to analyze the visitors of the websites. Both the inclusion of the website in search engines and follwoing of its hyperlinks is explicitly allowed.